Some time when I was a little kid, I remember hearing about this magical surgery where they could fix your eyes. You wouldn’t need any glasses at all. I don’t remember if it was the news. Advertisements. I don’t know. This may have stuck out to me because I heard about it around the time I got glasses. I HATED my glasses. I got them in 6th grade, and I would keep them on my desk and only put them on to read the board. Basically I walked around blind most of the time. Awesome. But there was this AMAZING surgery that could fix all of that, right? Well, besides being expensive and something they probably don’t do for children, I remember having a conversation about it with my dad. He wore glasses. Maybe he should do it? I’ll never forget what he said. (For the record, I don’t think he remembers this conversation at all.) He said that he used his eyes to earn a living for his family and he would never jeopardize that. OK. Game over. No LASIK for me. Don’t want to be blind. Then I got contacts in 8th grade and everything was pretty much OK so I sort of forgot about it. Fast forward many years later. My dad ended up getting LASIK. So I guess technology came along enough that he wasn’t worried anymore. Interesting. Fast forward many years later. I started to think about it more and more. At this point, I’d been wearing contacts for 20 years. Yipes. I’d gone from non-disposable to disposable. I’d gone from just using OptiFree to using the dissolving cleaner every few days to using the dissolving cleaner all the time. I’d gone from napping in my contacts to removing them before naps and right after the kids went to bed to give my eyes a break in the evening. Basically, trying to be responsible. But contacts kept being more and more of a pain. They are a pain for travel. Carrying the giant bottles of solution around. Deciding if I’m going to A) check a bag to have the giant bottle, B) whether the small bottle will be enough for the trip (if I can find the small bottle anyway), or C) track down a bottle once we land. Also, I really don’t wear a ton of makeup, but I do like to do a little eyeliner and mascara. It seemed like the makeup was getting into my eyes more and more. I was doing all the same stuff. Why was this happening? The surgery sounds terrifying. Lasers in your eyeball??! While you’re awake??? No thank you please. Even though I’ve had contacts forever and I can touch my eyeball, I’m TERRIBLE at giving myself eye drops. And don’t you need a lot of eye drops to make this happen? Also, that whole being in a foreign country thing was putting a crimp in my plans. But I started to think about it more and more. I mean contacts aren’t free . . . Maybe I could find a way to get through the surgery . . . It would be amazing not to tote around glasses and contacts and stuff, oh my. So I scheduled a consult for the folks that did three of my family members when we were on home leave in SC. It turns out that they have more than one kind of eye surgery. It also turned out that I was a candidate for both. I scheduled the surgery, but spent most of the summer obsessing about whether I should do it and which surgery to pick. Could I handle the procedure? Was it selfish of me to take up our family’s home leave with this? Should I do it knowing I’d have to do some follow up care in Malaysia? If I was doing part of it in Malaysia, should I just do the surgery later once we got there? There are other options, but I was picking between LASIK and PRK (photorefractive keratectomy). This article was one of the most helpful things I found on the web in making the decision. To be super brief, with LASIK, they use a laser to create a flap which they lift to do mid-corneal corrections. 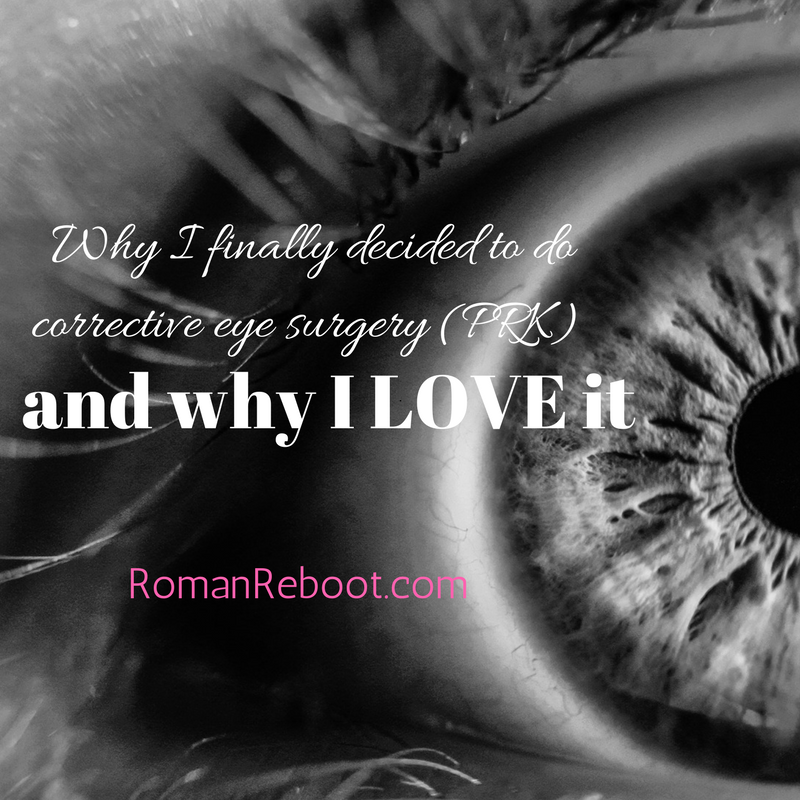 For PRK, they remove the surface skin cells on your eye and do the corrections on the surface. Recovery is more annoying because you have to wait for the skin cells to regrow, but no flap. The actual surgery was easier. I had been majorly freaked out about the surgery itself. Since I wasn’t doing LASIK, I got to skip that whole part where they suction something to your eyeball to cut a flap. People do this all the time, and I’m sure it’s not the end of the world, but this was a major selling point for me. My corneas are a little on the thinner side. They told me I did have enough thickness for LASIK, but PRK would preserve a bit of the tissue. I liked this just from a standpoint of not knowing what would be coming later. I might want more corneal tissue. I wanted no flap. So your flap “heals” in that it is affixed to your eye, but the flap will always be there. They say that anything that would dislodge the flap would be a major injury to your eye anyway, but still. I wanted to be able to rub my eye really hard without worrying about somehow dislodging the flap. Sometimes you just really need to rub your eyes, ya know? I figured I wouldn’t actually do it in Malaysia. I’d put it off. Even though I figured we’d be knocked on our booties when we go there, it would be easier for me to schedule follow up visits with the kids in school and more stuff being done here in English. I’d have James not working to help with all the eye drops and to help with the kids during my first few recovery days. And I really wanted it. Once I started to think about it again–some time in the last year–I just couldn’t get it out of my head. It seemed like it was time. It was actually pretty great. They do group surgery days. So this means that on the day of surgery, I sat in a holding room in my little recliner with a group of people. They went around and talked to us and gave eye drops. There was plenty of explaining things and making sure we were getting the proper procedure. I was last in my group, but I had a magazine and my phone so it was all good. For the surgery, you lay down and they put a blanket on top of you. The worst part of it was when they have to put the eyelid spreader thing in. The other worst part was when they put this thing that looks like a tiny sander on your eye to buff off the skin cells. It didn’t hurt, but there was noise and it felt like it should hurt when you saw it coming at you. The actual laser part? I barely noticed. It was less than five seconds and it’s not like you saw lasers coming at you. They brought the big laser thing closer to your head, you stared at a light, and they counted it down. Other than smelling some things burning, you didn’t know anything was happening. After the surgery, they popped in some bandage contact lenses (a PRK thing) and checked my eyes after a bit. I was sent home with lots of drops and instructions and an appointment to come back the next day. At this point, I could see better, but it’s not like with LASIK where you sit up and see the clock. That’s the other thing on PRK, your vision comes back slower. It had been described to me as good in a week. Great in a month. So I could definitely see better than before, but nowhere near as I saw with my glasses or contacts. Not gonna lie. This part wasn’t fun. But it was definitely doable. I was given these clear shields to tape to my face when sleeping and Ray Charles glasses to wear. The first week I was doing three different kinds of drops plus lubricating drops, but these tapered each week. My worst moment was probably when I woke up around 2:00 AM the day after my surgery. My eyes were watering so badly I couldn’t really see. I was a big, taped up mess. My eyes bothered me when they were open and when they were shut. They didn’t hurt per se, but they were super irritated. I got some lubricating eye drops and made it back to bed. I’d heard that the second day was the worst. What the monkey? It was going to get worse?? At my first day checkup though, healing was proceeding nicely. They said about 50% regrowth in each eye. This gave me hope that I had been healing ahead of schedule and maybe my first day was my worst day. I left with an appointment to come back in two days where, fingers crossed, I would have my bandage contact lenses removed. More laying in bed. It got to the point that with my eyes shut, I didn’t really notice anything. Monday morning we dropped the kids at Vacation Bible School and then headed to the eye doctor. The moment of truth . . . would I be able to ditch the lenses? They gave me the eye test. My vision was WORSE than the last time! What the monkey?? But this turned out to be a good thing. Besides the contacts being all gunked up with goopy drops, this apparently meant that my skin cells had grown back together. They removed the lenses with scary looking tweezers, and I was all good. Right? WRONG. In my head, once they removed the lenses, all the irritation would be gone. That was not the case. But about 24 hours later, things were much much better. About that pesky vision . . .
What surprised me the most was 1) how long my vision took to come back and 2) how really weird it was not being able to see. Because I was a fast healer, I seemed to think I would also be able to see faster. WRONG. It was at least a month. Probably a little more. And I could be seeing improvements for six months. And it’s one thing to know you won’t be able to see, but definitely something different to experience it. To not be able to read the menu at Starbucks. To not really feel comfortable driving. To not being able to recognize someone across a room. It was weird. And the whole time you’re doing this whole, should I be able to see that thing in your head. Like is that in the range of normal vision or is that something only Superman could see that I wouldn’t have been able to see before anyways? It messed with your head. I asked James all the time whether he could see stuff. I love it. I love it so much. Other than lubricating drops, I’m now eye drop free. My vision is 20/20. Possibly even a little better. So many things have been great that I didn’t even think of. Getting ready in the morning is faster. I can just brush my teeth and go if I’m being super lazy. Getting ready for bed is faster. I don’t have to worry if I should take my contacts out before a nap. I don’t have to cart glasses and contacts around. It’s great. The first month, I didn’t really feel any dryness. The second month, I noticed more. Heading into the third month, I think it could be lessening again. No clue where will end up, but hopefully better. But even if I have to do eye drops a couple of times a day, I think it is a pretty good trade off. I was able to schedule a follow up eye doctor appointment here, and it went just fine. I’ve got a six month after surgery one scheduled as well. Then I should just be back to regular annual eye exams. I say it’s worth checking out. I really do love it. I would say to do some research. Make sure that your surgeon is answering all your questions. I got a little frustrated on lack of detail provided. That’s not their fault. Most people don’t want to get into the nitty gritty. If you want to talk about your corneal thickness, do it. Keep doing it until you understand what you want to understand. I was dubbed a “fast healer,” but I tried to increase my odds. You guys know that I eat pretty low carb, gluten free, low dairy most of the time. I tried to really “dial in my nutrition” (ugh) leading up to the surgery, making sure to cut out sugar and booze. I also religiously took the Vitamin C and fish oil they recommended. And a magnesium supplement. And some other stuff I’m forgetting. Basically I tried to eat as much of the good stuff as I could and really limit the bad stuff. I would highly recommend having your own personal James. James did almost all of my eye drops. He drove me around. He watched the kids. It was great. If you are not fortunate enough to have James, make sure you get some support. Even if you are doing LASIK, you need to plan on taking it a little easy. It’s still surgery. So now I have excellent vision. And I can even do eye drops now. Have you done eye surgery? Which one did you pick? Would yo do it? If you have any other questions on the procedure, just leave a comment. I’m happy to answer anything I can. Hey! Had no idea you did all that. So happy you were pleased with results..especially after such a long time with the boys.